15 minutes play...BumbleBeans Inc.: A PLAYFUL finish! 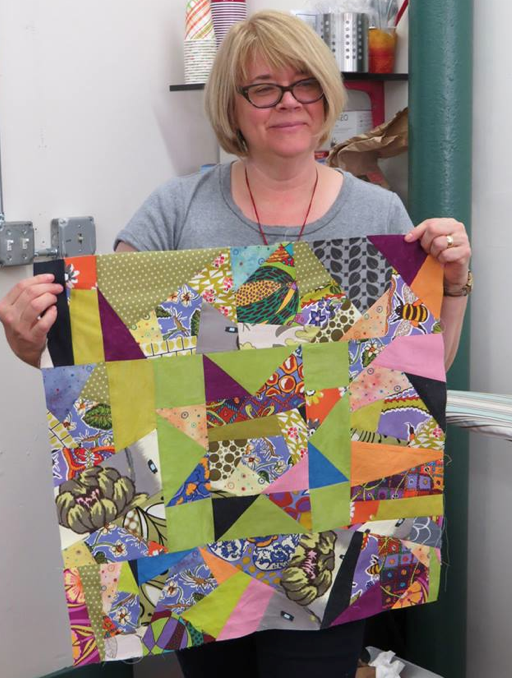 My Friend Michele just finished her Quilt that she started when I taught in CT, a few months back. 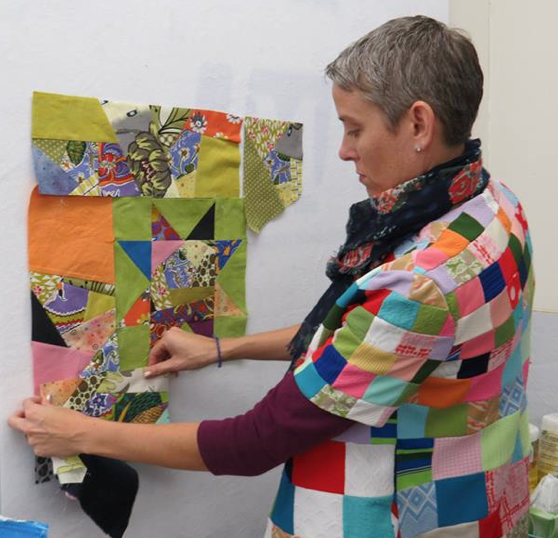 She really had never "PLAYED" this way, and now she has a beautiful quilt done to give to her son. Time to bind, as it's fresh from the quilter! 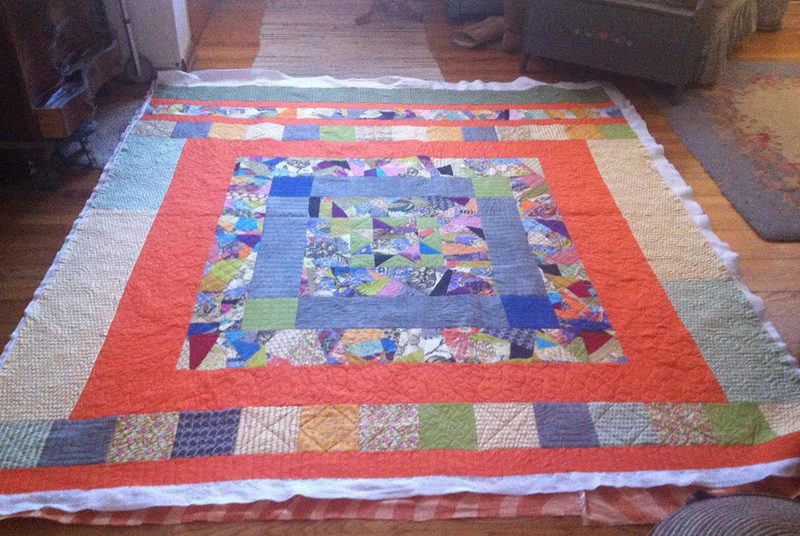 It started with just a few scraps, and great and grew, and soon it was a bed size quilt, A TRUE intuition quilt! I was lucky enough to get my fingers in there to fondle her fabrics…LOL!. Well done Michele! Looks great!!! Thanks Victoria! It was so much fun and I love how it came out. It was my first star too. I had so much fun in the class. Can't wait to give it to him. Batter get binding.